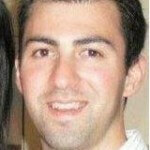 Full Tilt Poker has officially launched the FTP brand under a .EU domain and license. The .EU site will serve players from 9 European markets : Finland, Germany, Greece, Luxembourg, Netherlands, Poland, Romania, Slovenia and Sweden. The new license was granted by the Malta Lotteries and Gaming Commission and is only valid for the .eu site. Players in those European countries will be able to take advantage of tax-free winnings while playing on the .EU site of Full Tilt Poker. Going forward Full Tilt Poker will be operating under 2 separate license. FullTiltPoker.com will be operating under a license from the Isle of Man which will cater to various regulated markets. While FullTiltPoker.eu will be operating under a license from Malta and will only cater to the 9 European countries above. MALTA — February 26, 2013 – Full Tilt Poker has launched www.fulltiltpoker.eu to serve players in selected European markets that benefit from playing under a license granted by the Malta Lotteries and Gaming Commission. The site is now available for players in 9 European markets including Finland, Germany, Greece, Luxembourg, Netherlands, Poland, Romania, Slovenia and Sweden. Players on www.fulltiltpoker.eu will enjoy all of the same great features and innovative game play that is associated with Full Tilt Poker, including Edge Rewards, deposit bonuses, Happy Hour tourneys and a host of other great promotions, in addition to access to the global pool of players available on www.fulltiltpoker.com. 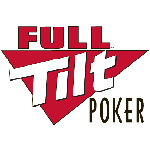 Players on www.fulltiltpoker.eu will have access to the same games and tournaments against the same players as they do on www.fulltiltpoker.com. ”Playing under a Maltese license has many advantages for players in various European countries, particularly those markets where playing on a EU platform means that player winnings are tax-free,” said Michael Holmberg, General Manager, of the Rational Group Malta, which operates the Full Tilt Poker brand. The launch of fulltiltpoker.eu is certain to appeal to many thousands of players in Nordic countries where online gaming winnings are tax-free if offered from within EU under a license issued by an EU Member State. Full Tilt Poker players in those countries can easily update their existing software and re-register their accounts to fulltiltpoker.eu and balances on those accounts – including cash and Full Tilt Poker Points – will be automatically moved over and available immediately once the move is completed.